Michael can be contacted at mobile 0402 248 353 or by email (see contact form below) about current legal and practice issues, including the Insolvency Law Reform Act 2016 and the Insolvency Practice Rules, other pending law reform, and other reports and recommendations, and current statute and case law. 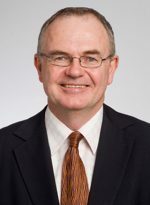 Connected with this, Michael has an interest in the wider connections of insolvency in law, economics and finance – employment law, tax, directors’ duties, family law and bankruptcy, comparative international and cross-border insolvency, and in professional conduct, regulation and ethics, and legal education. member of the UNCITRAL Coordination Committee Australia (UNCCA). a member of CAMAC (2001-2014). Michael is also a member of INSOL International and INSOL Academics, the Insolvency Academics Network (IAN), the Banking and Financial Services Law Association (BFSLA) and LAWASIA. He co-authors the standard insolvency text, Keay’s Insolvency (Thomson Reuters), now coming up to its 10th edition.